“Even better than the 1st edition” – a customer review of Phillipps’ Field Guide to the Birds of Borneo, 2nd Ed. “The second edition has been updated with some new plates including Spiderhunters, Hornbills, Blue Flycatchers and others. Also included in some of the plates are food plants which are helpful. Information has been updated at the front and new maps and birding sites have been added at the back of the book. New taxonomic information about the endemics and other families has also been updated with new information about the new species recently discovered, Spectacled Flowerpecker, which has several nice illustrations in the book. 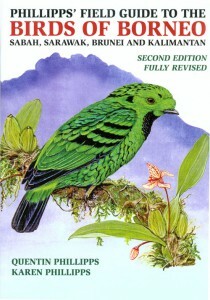 Author KatherinePosted on 14th October 2011 14th October 2011 Categories Customer Product Reviews, Ornithology, Title InformationTags birding, birds, Borneo, field guides, Ornithology, Top TitlesLeave a comment on “Even better than the 1st edition” – a customer review of Phillipps’ Field Guide to the Birds of Borneo, 2nd Ed. Boris Assyov, PhD, on British Boletes: With Keys to Species by Geoffrey Kibby. “In the introduction to his “The genus Xerocomus” the boletologist Alan Hills wrote “If you want a key written, ask Geoffrey”. I can add nothing to his statement that will better describe Geoffrey’s new book on the British boletes that was just presented to the mycological community. There is hardly any need to present the author. Geoffrey Kibby is Senior Editor of the journal Field Mycology and most of the readers possibly have enjoyed already his mycological papers or his monograph “British species of the genus Russula”. Apart from that Geoffrey is a nature photographer and artist who has contributed illustrations to many books and articles. “British boletes” is a marvelous edition that is simply not to be missed by any mycologist. It is printed on high-quality sturdy A4-sized paper that ensures it will not wear out easily even if you are often taking it with you in the field. In addition the wire binding is excellent finishing that lets the book open flat. Yet from the same beginning I would like to say – do not get confused by the word “British”, because the book actually presents the vast majority of the known European boletes, except very few species, so it is suitable to be used in most realms in Europe. I also believe that this decision will greatly help the British mycological community in cases, where new country records might be involved, that may otherwise go unnoticed. The readers will easily decide if I am right about this, seeing the new British record Boletus rhodoxanthus and the comments for Boletus luteocupreus. I am truly amazed by enormous amount of information that is fitted in the book, keeping the text perfectly readable without glasses at the same time. First of all I want to mention the excellent introductory chapters that lead the reader through all the important macroscopic and microscopic features of the boletes, so easily explained and so beautifully illustrated, that even people that have never tackled boletes before will have no problem understanding them. Reading further on, I very much appreciated the synopsis of the genera. As we all know, bolete systematics has become immensely difficult these days and the constant splitting and lumping sometimes may really puzzle even professional mycologists if they are not especially dealing with this group. I strongly believe that having this book, the reader will no longer suffer with the frequent name changes so generously produced by the modern systematics. Note however, that the author meanwhile takes full advantage of the results of the modern methods of molecular research and keeps the book perfectly up to date. As the second part of the title suggests, “British boletes” provide keys for recognizing the genera and species. This is the first bolete book, known to me that combines the synoptic type of keys (that we all know very well from Geoffrey’s other work “Leccinum revisited”) together with the traditional dichotomous keys. I know there will be people having hesitation about the dichotomous keys, but I will assure them that all the keys in “British boletes” are straightforward and work very well. Not only keys are included in the book, but informative descriptions and remarks on all the species tackled. These are also excellent and help the reader to reach a conclusion when trying to determine bolete collections. The reader will excuse me, but I decided not to count the illustrations in the book, there are too many of them. I will just say that the book is more than amply illustrated and provides spectacular photographs or original paintings of virtually every British species and of most of the included extralimital boletes. There are excellent photographs for some recently described or ill-illustrated species. I also very much appreciate the comparative painting of the xerocomoid boletes, which is certainly unique and helps very much for the understanding of this very difficult group. Share your views with NHBS customers around the world – click here to create a product review. This book might not catch your eye on the shelf – small, paperback and easily hidden between larger, more attractively-designed moth ID books, but if you are into your moths, I’d thoroughly recommend it. It’s perfect for the bookshelf but comes into its own in the field. It’s small, light, covered in a waterproof layer, the moths are well-ordered in the book, lifesize and in the two years I’ve owned it it’s not let me down once. Its very comprehensive – ie. if you trap a moth (or find one!) – you will find it in this book – and so much easier than other, larger, showier, less waterproof, less well-ordered books. 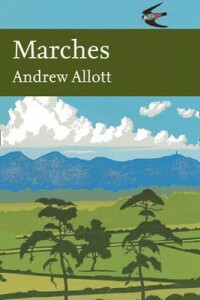 Maurice Skeggs, NHBS customer from the UK, reviews this “superb” book. “I bought this book after reading some rather flattering reviews and thought, well, if everybody’s praising it, there must be something about it! And what a pleasant surprise, this book exceeded my very high expectations. First of all, it is so painstakingly well researched yet written in such a brilliant and flawless manner. It must have taken ages to gather all that information. It covers everything related to birds like no book I’ve seen has ever done and really raises the bar. Secondly, it shows how deep the relationship between birds and man is, even in an island which is renowned to be hostile to birds, where things are now hopefully changing for the better. The book comes from the pen of the author of Fatal Flight: The Maltese Obsession with Killing Birds, which in 1992 had exposed the horrific situation of hunting in Malta. This book now shows a chronicle of change, of shifting attitudes, acknowledging what has been achieved and listing what still needs to be done. It also shows the strong British and Victorian influences on Malta, a former colony which saw a lot of development under British rule but which neglected the protection of birds that was taking place back at home here in Britain. So we Brits have a part of the blame too! The book shows how birds captured man’s thoughts and imagination, how birds pervaded metaphors, led to coining of expressions and proverbs. It shows brilliant photos of birds in everything from Maltese crockery to crochet, from antique embroidery of sacred vestments to illuminated manuscripts and birds in coats-of-arms of Maltese surnames. Brilliant photos of prehistoric bird models as well as the Medieval bas reliefs of falconry and hunting with cross bows are really unique. The book has what I believe is the first real history of falconry of the Maltese Islands, which goes way beyond the annual falcon that used to be given to Charles V as a token for giving Malta to the Knights of St John. This book documents it all, and in a very pleasant way. We really enjoy receiving your feedback on the books and wildlife equipment we stock – here, Pierre, from Switzerland, shares his thoughts on the ‘invaluable’ Biebrza Site Guide by Lukasz Mazurek. Keith Betton, chairman of the African Bird Club, shares his thoughts on the recently published Helm Identification Guide to Reed and Bush Warblers. “In size and feel, this book is closest to the Helm volume on Sylvia Warblers, and similarly it is also an impressive tour de force. At the outset the authors deserve praise for tackling such a challenging group of genera which contain some of the most secretive species in the world! The families covered are Locustellidae, Acrocephalidae and Cettiidae – 112 species in 13 genera, of which 21 are on the British List. The 42 colour plates by Brian Small are grouped together at the front of the book. These really are excellent, with usually just one or two species per page and a selection of distinctive races being shown with brief descriptions on the facing pages. The main species texts are really comprehensive, giving detailed accounts of structure and plumage and comparisons with similar species. Vocalisations are described and sonograms are shown, although – rather like the text – they are a bit on the small side! In contrast the colour distribution maps are superb – being large and clearly annotated to show the ranges of each race for both breeding and winter distribution. These ranges are also described, as are the choice of habitats. Movements, breeding habits, behaviour and moult are all treated in separate sections, as are in-hand measurements, which are also accompanied by diagrams of the wing formulae. A section on taxonomy and systematics allows for an explanation of recent changes. In my view it would have been helpful to include here the various names that readers may encounter when reading about the species elsewhere. Good colour photographs are included for all but the most obscure species, and helpfully these are positioned at the end of each species text. No detail has been spared in presenting information. The various appendices give information about the type localities and synonyms for each species, as well as body measurements based on fieldwork and museum specimens. In creating this book the authors have taken advantage of molecular analysis based on DNA comparisons. These studies have turned some of our understandings upside down. For example, research strongly suggests that two accepted races of Aberrant Bush Warbler are in fact races of Sunda Bush Warbler. Also who would have thought that Grasshopper and Lanceolated Warblers were not closely related? It appears that that they are seated in different clades, and Grasshopper Warbler is actually more closely related to Chinese Bush Warbler – and therefore is likely to be a Bradypterus and not a Locustella! A number of these taxonomic issues are discussed in the introductory chapters. The authors have adopted a pragmatic approach and have been flexible in deciding the scope of the book to ensure the inclusion of the most challenging genera. Among their decisions is the adoption of Iduna as a sister genus to Acrocephalus for four species usually accepted as being in the genus Hippolais (Eastern and Western, Sykes’s and Booted Warblers), while Thick-billed Warbler is put in the genus Phragamaticola. Similarly Chestnut-headed Tesia is on its own in the genus Oligura. The recent splitting up of Spotted Bush-Warbler is only partly followed, with the authors recognising the creation of Baikal Bush-Warbler (Bradypterus davidi), but not West Himalayan Bush Warbler (Bradypterus kashmirensis). Similarly Anjouan Brush-Warbler (Nesillas longicaudata) is lumped into Madagascar Brush-Warbler. When it comes to the use of English names, the choice stays fairly close to the IOC List, although occasionally the Clements name is favoured instead, and on some occasions the authors have adopted names that are used by neither – such as Kinabalu Bush-Warbler (for Bradypterus accentor) and Kiritimati Warbler (for Acrocephalus aequinoctialis). One species that followers of Clements will find missing is Victorin’s Scrub-Warbler. Although treated as a Bradypterus in that list, it has been renamed as Victorin’s Warbler by IOC and placed in the genus Cryptillas next to the Crombecs and Longbills in the family Macrosphenidae. Those who are interested in the choice of races will again have plenty to discuss – although space does not allow details to be listed here. It would be a mistake to think that there is little left to learn about these Old World families. For example, how did we overlook the Large-billed Reed Warbler? Identified from a single specimen collected from India in 1865, it was 140 years before it was detected again – and yet since 2006 three have been trapped in Thailand. Similarly Timor Bush Warbler was described from two specimens collected in 1932, and then not seen again. But just a year ago it was rediscovered in good numbers, while nearby on the island of Alor this or perhaps another species has now been discovered. Recognising that the relationships between the species in this book will probably change before a second edition is printed, the authors have wisely included an appendix which summarises some of the likely revisions likely to result from recent research. For example Little Rush Warbler and Evergreen Forest Warbler are both likely to be split into several new species, while Javan Bush Warbler and Russ et Bush Warbler may be lumped, as may also Styan’s Grasshopper Warbler and Middendorff’s Grasshopper Warbler. We love to hear your feedback on the books and wildlife equipment we stock – here, Mike Nelson, from the USA, shares his thoughts on Phillips’ Field Guide to the Birds of Borneo: Sabah, Sarawak, Brunei and Kalimantan.